I spent my Sunday looking through Alabama’s school district web sites (jealous?) for a set of documents called “Accountability Reports”, which are three sets of reports that each of Alabama’s school districts are required to make available to the media, parent organizations and legislators not later than December 31 of each year. I wrote about these reports here and here. I didn’t hide my frustration with the lack of compliance by our school districts and the unwillingness of the Alabama State Department of Education to force compliance on this issue. Dr. Craig Pouncey, Chief of Staff, sent this memo in December reminding all school districts to make these reports available before December 31, 2012. The memo is very explicit. How Many Districts Complied with the Requirement? That’s a tough question, because the districts may have made them available, but just not bothered to tell anyone they were available. At least that’s how it appears at this point. Pretty low numbers. This law has been in effect since 1995. All school districts have web sites. It’s pretty simple to post a report on a web site, isn’t it? They are required to produce the reports, so why don’t they share them on their web sites? Six districts stated that the reports were available to view at their Board of Education offices, which isn’t very helpful if you live on the other side of the county. Why would education officials want folks to drive so far to view something that’s easy to post on the internet? 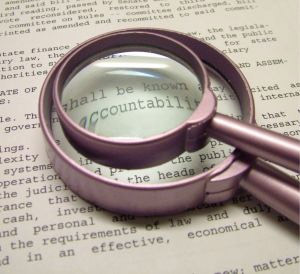 Forty-four districts made no mention of the Accountability Reports at all, nor did those same 44 have any of the mandated reports available anywhere on their site. So how many actually complied with the law? Hard to say. And what’s the penalty? None, as best I can tell. I will share the details with Dr. Tommy Bice and Dr. Pouncey in an attempt to force compliance, but it seems clear that while school districts might comply with producing these reports, they do not feel compelled to share them with their school community. What is most disturbing is that the Achievement report the 1995 law outlines has, as best I can tell, NEVER been complied with, as the law states the report should give a 5-year comparison of achievement data. 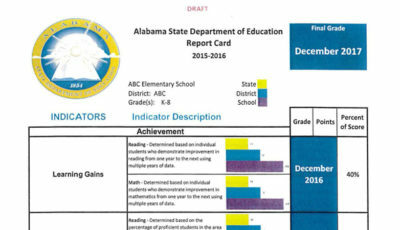 The ALSDE accountability site compares only the current and previous year. Hard to see trends with just one prior year’s data. I guess you could say the information is available, if you want to keep re-starting the online process and choosing previous years. But there is currently no way, in one report, to compare the current year’s achievement with the previous five years’. The law is clear in requiring one “report”….not a web site with multiple options. And school district report cards haven’t bothered to be produced since the 2008-2009 school year. That was three school years ago. Such lack of compliance doesn’t inspire confidence in our K-12 education industry. But which is worse: (1) the fact that districts don’t bother to comply or (2) the fact that the ALSDE doesn’t force them to or (3) the fact that no one seems to care? The 1995 Accountability law was hailed as a major victory for parents and communities according to The Birmingham News reports from the time, as districts would be required to be more open with this information which could allow for better judgement and discussion about what types of help our schools might need. More accountability. Yeah, right. That was 18 years ago. No compliance was ever forced. No one ever bothers to print any of these reports in the media. My guess is that 99.9% of parents and families don’t even know of this requirement. What Can Be Done to Force Compliance with This Law? I’ve been told to contact the county district attorneys…that they are the appropriate enforcement agency. So, let me see if I have this right: I should ask the county D.A.s to file charges or swear out warrants against our public school districts who fail to comply? Really? I think I’m passing on that opportunity. Imagine if our children didn’t bother to follow the rules on a school assignment. There would be immediate consequences. There are no consequences for our school districts who don’t follow the law. Why isn’t there? Why hasn’t the media demanded more? Why haven’t our school communities demanded more? 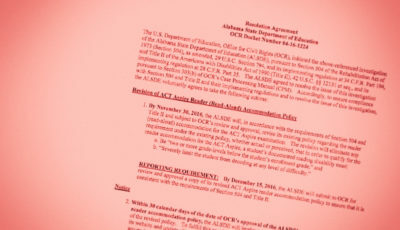 Why hasn’t the Alabama State Department of Education demanded compliance? One could reach the conclusion that communicating with parents and the school community about these types of issues just isn’t important to them. It certainly appears that way. But that 1995 law was supposed to be sooooo great, wasn’t it? What Difference Would Viewing the Reports Make Anyway? How would you feel if you knew that your school district’s achievement had been declining for the past 5 years? Would you care? Would you speak up? How would you feel if you knew that your local high school suspended students for most infractions rather than using in-school suspensions? Would you speak up? 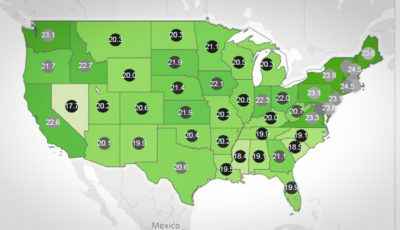 What if you knew that the students from your school district weren’t successful in college? Would you ask more questions? 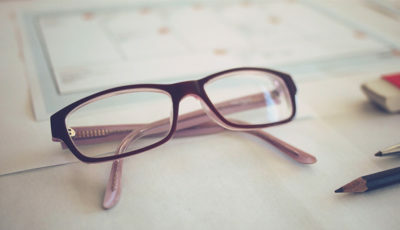 How would you feel if you knew that your school district’s financial reports showed a constant battle with meeting expenditures? Would you speak up and ask for your community to increase the local property tax? We will never know. We have 18 years of never knowing. The idea behind mandating the production and sharing of these reports was to allow the school community a look at the overall achievement, discipline, and financial condition of our school systems. We have been denied that opportunity. For 18 years. And just when we realize that we are not getting the information we are due, they’re changing what needs to be reported and how it is to be reported. This law was enacted in the 2012 Legislative Session dictating that the ALSDE develop a new grading system. Details have yet to be released, even though “the State Superintendent of Education shall prescribe the design and content of the school grading system by not later than December 31, 2012.” Uh oh. I’m seeing a pattern. There is no indication that the 2012 law will replace all components of the 1995 law, but hey, they didn’t bother to follow the 1995 law, so why should they bother to follow the 2012 law, especially knowing that one deadline has already been missed? Go to your school district’s web site and look for the Accountability Reports. If you can’t find them, call your Central Office and ask for them. Let your school district officials know that you WANT to know this information. It’s not an intrusion, it’s a law that they provide this information to you. You are not overstepping your boundaries, you are seeking to become more informed and become a stronger school supporter. They OWE you this information. In fact, at this point, they’re three months late. Imagine if you were three months late completing a job assignment. For 18 years, our school districts have not shared this information as was originally intended in the law. Let’s ask them to do it now.